In the past, when young people got in trouble, they were typically dealt with at school or at home. Today, when they are accused of making mistakes and breaking the law, they are increasingly being dealt with in the courtroom. Teachers are now required to report certain complaints and the police can quickly become involved. At David G. Bayliss Professional Corporation, we believe that alleged young offenders deserve a fair and vigorous defence. Fortunately, the youth criminal system, governed by the Youth Criminal Justice Act, is separate from the criminal system for adults, and it is focused on rehabilitating young people and preventing them from leading lives of crime. With more than 30 years of experience, David G. Bayliss understands how the criminal system works for young people. . He also knows that a mark on a juvenile’s criminal record can be an obstacle for the young person as he or she grows into adulthood. With less tolerance for normal childhood mistakes than in the past, it is important to speak with an experienced youth Toronto defence lawyer as soon as possible if a police report has been filed involving a person under the age of 18. In cases involving more serious charges, including murder, the prosecution may seek to try to sentence a youth as an adult. The skilled defence lawyers at David G. Bayliss Professional Corporation will step in and work diligently to prevent this from happening. 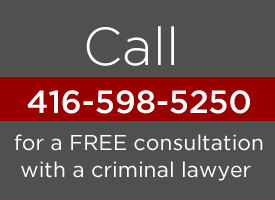 Contact the criminal law firm of David G. Bayliss online or call 416.598.5250 to arrange a free initial consultation with an experienced Toronto lawyer handling youth offences.